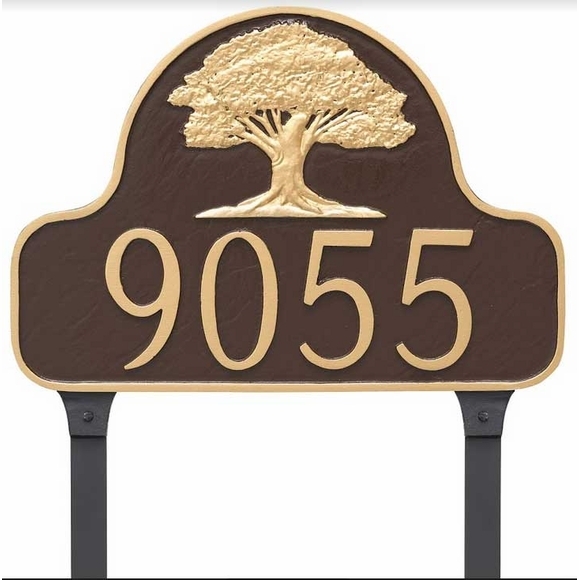 Oak Tree Address Sign with Yard Stakes - - lawn mount decorative arch plaque includes a splendid old oak tree centered within the arch. Personalized with the address you supply and the color you select. Made in USA. Dimensions: 16"W x 11"H x 0.25". This personalized oak tree sign is also available for wall mount. Click top link in Related Products for details.